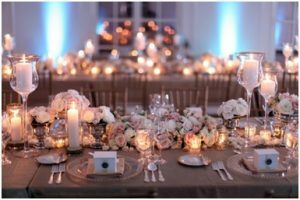 Selecting a wedding theme is one of the first steps you should take during the wedding planning process. The theme will give you a set direction and allows you to envision the final outcome. 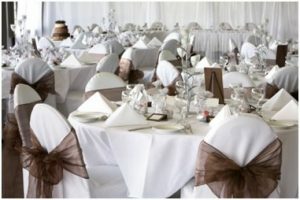 This will help vendors come up with unique ideas for your cake, flowers and menu; and give your guests a better idea of the dress code. Your wedding theme should represent your style and personality. While there are many thousands of themes to choose from, this list will help you get started. The traditional theme is romantic, formal and sophisticated – these are just three reasons why it’s been used time and time again. A neutral colour palette makes it hugely versatile and allows you to bring your own individual flair to the table. Common elements include silver, gold and red accents, letterpress invitations and flower centrepieces. Traditional weddings are usually conducted in a local church and followed up with a formal dinner in the afternoon. The Victorian vintage style is elegant and classy. 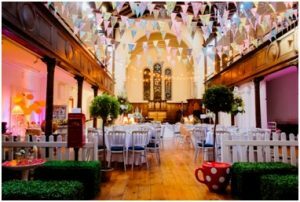 If you have access to a country manor house or church with garden views, the Victorian look will certainly add a bit of British tradition to your wedding. Feminine floral designs, frilly fabrics and deep reds characterise the Victorian era. Make sure your dining area has a decent selection of English teas, cucumber sandwiches, scones and fresh jams. 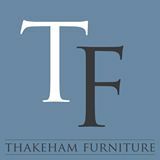 With regards to furniture, the Victorians stole inspiration from all over the globe, which can make it difficult to categorise. If in doubt, use white, cabriole-legged tables and chairs. If you’re looking for a theme with a bit of colour and individuality, the Chinese style could be perfect for your needs. 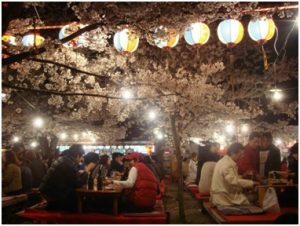 With so many unfamiliar traditions, taking a bit of inspiration from the East will leave your guests in awe. In Chinese culture red is the symbol of joy, making it a prominent colour in wedding ceremonies. If you want to go all the way, wear a red and gold silk gown. 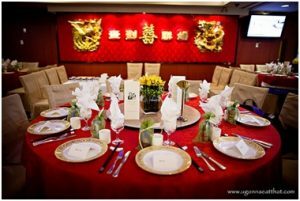 The reception feast is the most important part of a Chinese wedding and the seating arrangements and table decorations should maintain a sense of balance in accordance with feng shui. 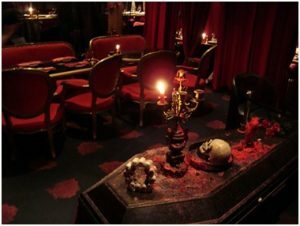 As a member of the Gothic subculture you may feel the urge to represent your lifestyle. 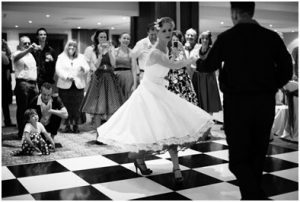 Your wedding is your day, so even if the theme you choose doesn’t conform to the norm, don’t let it put you off. Castles make the perfect location for Gothic themed weddings. There’s no better place to dine than in a banquet hall lined with medieval style tables and chairs. If you take this approach, line your tables with wrought-iron candleholders, use black crockery, and add a little colour with red roses. Filled with snowflakes, ice sculptures and white flowers, the winter wonderland theme will make you feel like you’ve stepped into a fairy tale. Use multiple shades of blue, pale turquoise and silver; glittering ornaments will also give it a little more sparkle and character. If you’re ever lost for ideas, seek advice from Mother Nature – she knows best. Bring in a little greenery to use as table centrepieces instead of using flowers. Perfect if you’re a patriot, the Britannia theme is built upon the colours of the union jack – red, blue and white. Vintage tea sets, silver plated cutlery and Victorian style furniture compliments the Britannia theme perfectly and adds a sense of royalty to the proceedings. Big band music, heart shaped decorations and glimmering crystal will top off the look and give your wedding a sense of class you’d only expect in Buckingham Palace. 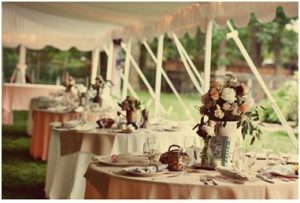 Give your wedding a shabby chic feel if you want to take a romantic, yet “not-quite-vintage” approach. Make sure everything shows signs of wear and tear – distressed appearances and femininity are synonymous with the look. Use light shades of pink, stained whites and vintage style cabriole-legged furniture. If in doubt, imagine you’re getting married in a romantic countryside cottage and you’ll start to get the idea. Decorate with wreaths, candles in mason jars and vintage, white-framed mirrors to accentuate the look. 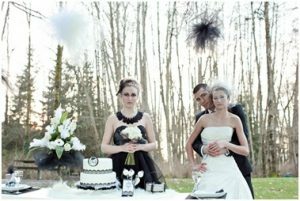 Kill two birds with one stone and make your wedding double up as a holiday. Don’t worry; you can still have your honeymoon afterwards. Use ocean colours in various shades to represent the many depths of the sea. Combine pale, bold and navy blues with white and yellow. If you plan on actually dining outside, make sure you have a backup option just in case the weather doesn’t hold out. A large conservatory overlooking the waterside is the perfect alternative. Transport your guests to a simpler time by having a rustic country wedding. This theme could be perfect if you enjoy the sights and sounds of the British countryside. Arrive at the venue in a horse and carriage; decorate with natural earth tones combined with lavish gold’s and silvers; and hang crystal chandeliers from trees to give it that surrealistic atmosphere. 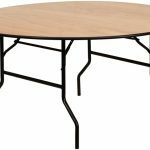 Use dark wood tables and chairs. There’s nothing more romantic than taking a stroll through a vineyard; and the alcohol tasting that usually comes afterwards certainly provides an added bonus. Imagine how beautiful your wedding photographs will look with the endless greenery in the background. Decorate with the colours of wine and nature – greens and browns combined with deep, bold-red accents. Make sure you have a sizeable alcohol stash on offer because when you get married in a vineyard there’ll only be one thought that will divert the attention away from you. Getting married in the middle of the forest is perfect if you want to add a little bit of “Disney” to the proceedings. 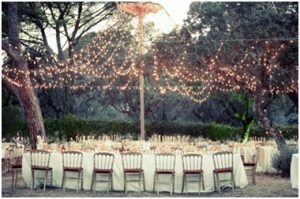 Hang carnival lights and chandeliers to tree branches, and use a generator to keep it all nicely lit. When you’re dining, dress the tables with bowls of pine cones, white stick candles and natural finger-food such as nuts and berries. Keep the theme in mind when you’re furnishing the dining area by using wood finished tables and chairs. 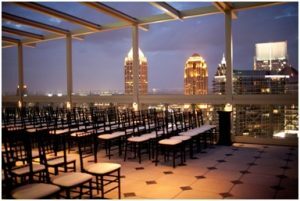 The word corporate may not scream romance, but imagine having a wedding atop a skyscraper overlooking the city and dancing behind a glass window among the backdrop of lights. 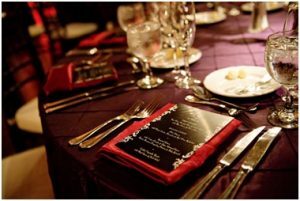 If you have a rich, lavish lifestyle, then a classy corporate theme could be perfect for your needs. 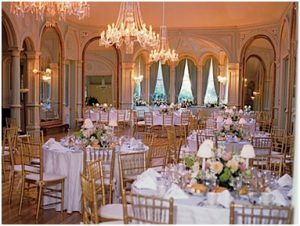 Most office buildings will have large function rooms that make ideal venues. Perhaps you could even get a discount if you work in such a building and give your boss an invitation. Take advantage of the Christmas season. The colourful lights and cheery atmosphere will already give you a head start. 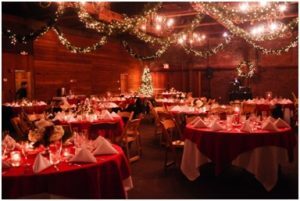 Christmas is one of the only times of the year where everybody goes over the top with decorations; combine this with a wedding and you’ll have no limits. 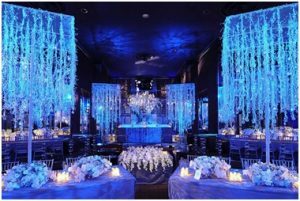 Give your venue a real winter-wonderland feel with fake snow, ice sculptures and Christmas trees. Schedule your wedding for early December and you might just make the off-peak window, which could save you a lot of money. Imagine having a wedding where everyone looks like the characters from Grease. If you want to turn up in a hot rod and have a playlist of rock ‘n’ roll classics, then you can’t go wrong with a rockabilly theme. Use stainless steel tables and chairs with the classic red and white checked patterning for that “American diner” vibe. If you really want to get creative, use vintage vinyl records as place mats and serve some alcoholic milkshakes. 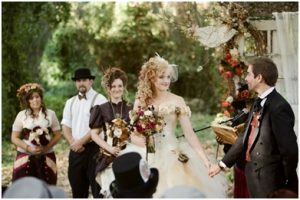 The steampunk subculture has become increasingly popular over the years and would certainly make a unique wedding theme. The style is modelled on Victorian and Edwardian attire, but with the fusion of futuristic technology and accessories. For an authentic steampunk vibe, mix vintage wooden tables with modern stainless steel chairs; tell the men to wear tophats, women to wear corsets; and don’t be afraid to play some heavy industrial music on the stereo. If your guests have any doubts, just tell them it’s Victorian themed and they’ll fit in perfectly. 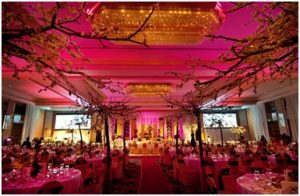 Get married in a Japanese style Zen garden filled with bonsai trees, koi carp ponds and cherry blossoms. Keep the traditional black and white contrast through garden furniture and decorate with pale pink tablecloths and white vases. In Japanese culture everything is minimalistic – keep this in mind. Rely on large open spaces and floor-level seating. Use incense sticks and scented candles to provide a sweet aroma. Instead of a traditional “disco” style dance floor, lay down tatsumi mats. When you think of autumn, no doubt the sunburst colours of orange, red and yellow spring to mind. There’s nothing like the sight of standing under forest tree leaves while they slowly float to the ground. Keep nature in mind with wooden furniture, pine cone decorations and traditional “country cottage” styled mismatched accessories. Use red accent pieces – ribbon, vases and roses, to add a little more bold colouring. If you ever need inspiration, simply take a stroll through your local park and try to absorb your surroundings. If you and your partner are Trekkies or fans of Star Wars, then the science fiction theme could be right up your street. Have an informal dress code and approach your wedding like it’s a fancy dress party. Decide on specific outfits for each job role, for example, storm trooper ushers or wonder woman bridesmaids. 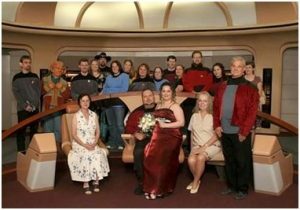 Style your venue like the Enterprise to complete the look. Greys, silvers and lots of bright lights will make your décor look like it’s come straight from the future. If there’s one place on earth that radiates the party atmosphere, it’s Las Vegas. Your party wouldn’t be complete without blackjack, craps and roulette tables. 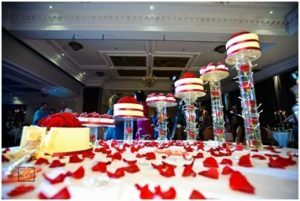 A stacked dice wedding cake and bright neon lights will really accentuate the style. Add subtle, gambling themed details, such as playing card name cards. 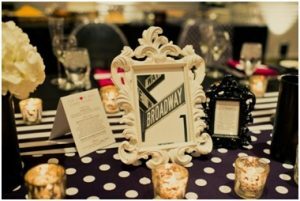 Use black and white seating to represent the colour of dice, and dress the tables with bold red accents using napkins and flowers. 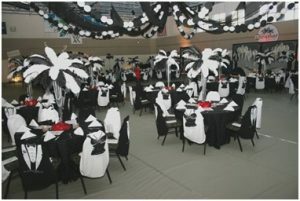 The swan lake theme uses many elements of the traditional wedding, but with a clear division between white and black. Long, flowing dresses characterise the style. Make sure you play music from the ballet on your playlist, perhaps even hire a small orchestral band for the night. is an excellent resource if you’re looking for a musical act. Keep colours to a minimum using pale neutrals so it doesn’t overthrow the black/white aspect and divert attention from the theme. 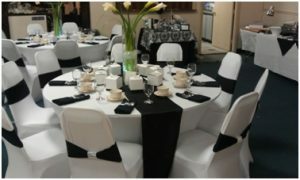 Feel free to mix and match black and white tables and chairs to really accentuate the boldness. The Spanish style is filled with lace, crosses, greenery and ivory. 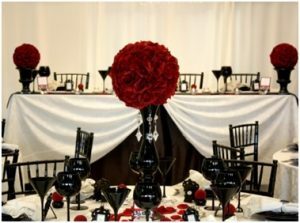 Decorate with deep red roses, use extravagant white lace tablecloths and polished black chairs for the dining area. The Spanish theme shows off the bolder side of nature, so ignore the neutrals to make way for bold sunburst. No matter how well you decorate, do not ignore the food. Serve authentic Spanish cuisine such as el pescado and la carne. 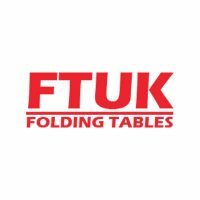 If you’re looking for a catering service, to get a list of available services in your area. 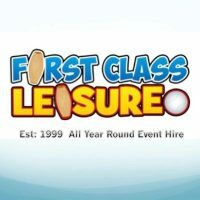 Turn your wedding into a party for everyone with traditional carnival themed décor, popcorn machines, candy floss and live shows. 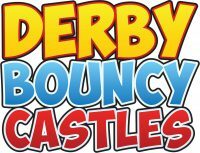 Imagine how fun it will be having clowns, magicians and dancers mingling through the crowds and entertaining people. Don’t forget to dress for the occasion. Perhaps a more colourful wedding dress would be more appropriate for this theme – red, yellow, or maybe even a combination of the two. The recent vampire phenomenon seems to have won the hearts of many young girls throughout the world. 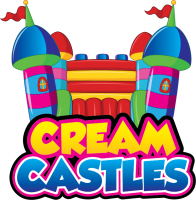 Gone are the days where the word represents old counts in castles, turning into bats and terrorizing the night; in modern times they have a much sexier and more sophisticated image. 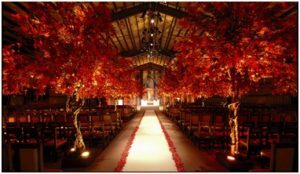 If you’re a fan of the seductive “Twilight-esque” side, then perhaps a vampire themed wedding will be your cup of tea. Decorate with red furniture with vintage gold tassels, red candlesticks and add a hint of Gothic style. There’s nothing more manly than the wild-west. 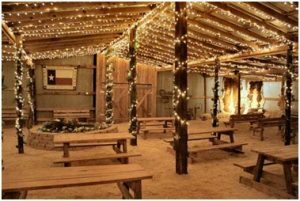 If you’re thinking about having your wedding in a barn, a western feel will be easy to accomplish. 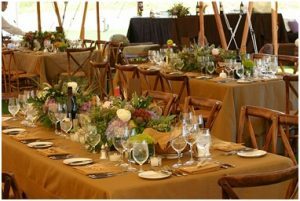 Use hay bales or picnic tables for your seating to give your venue the “ranch” feel that’s been featured so many times in the golden years of Hollywood. Get all your guests to dress up like cowboys and cowgirls, play some traditional country and western music, and have a bit of line dancing to make the night a party everyone will remember. No doubt you’ve imagined being trapped inside an empty shopping mall after a zombie apocalypse. The zombie genre has now turned into a subculture due to an abundance of b-movies that have cropped up over the past 10 years. 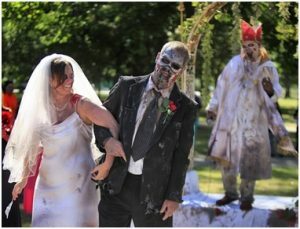 A zombie wedding could be the perfect way to get out all of your frustrations and imagine what it would really be like to face all that horror. Just remember, you may regret all the makeup when you look back at the photos in a few years. 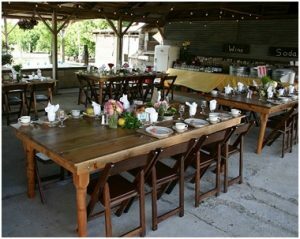 The farmer theme is ideal if you want to hold your wedding in a barn and enjoy the rustic feel of the countryside. One of the best elements of farmer style décor is that everything has a bespoke appeal, such as wood carved furniture and hand crafted crockery. Be sure to use fresh organic produce for your wedding dinner to really emphasize the theme; and make sure you have a lot of locally brewed beers and ciders on tap. When you think of romantic countries, Italy will certainly spring to mind. Italian décor is very distinctive and classy. 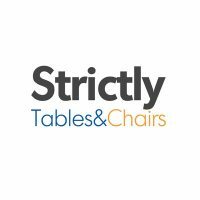 Use the traditional 2-person bistro tables with lavishly designed mahogany chairs for a more roman vibe. If you’d prefer to take a more Tuscan route, decorate with burnt wood orange/yellow furniture and use clay plant pot centrepieces with flourishing greenery. Make sure you have a nice selection of red wines available – Italian’s are keen drinkers and your guests will certainly expect a glass or two. If you’re an extreme sports fan, then why not reflect your lifestyle in your wedding celebration. That’s not to say you have to exchange vows freefalling from a plane, simply adding your lifestyle into the décor will suffice. 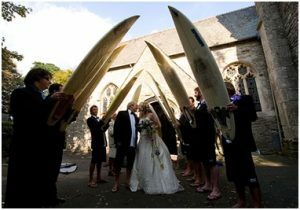 Get married near the beach and have your best man waiting with your board when you leave the church so you and your loved one can head down to the beach and get the most out of your adrenaline rush. Paris is without a doubt the most romantic city on the planet. 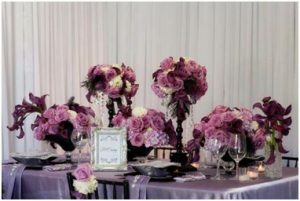 Fill your venue with purple, red and pink flowers to give it that sensual touch. Use black furniture as this will bring out all the colours of the surrounding accents. Decorate tables with crystal vase centrepieces, red roses, calligraphy name cards and silver plated cutlery. Have a string quartet softly playing in the background as your guests arrive. Transport yourself back to the sixties with a flower power themed wedding. Forget about material goods – all you need is friends. 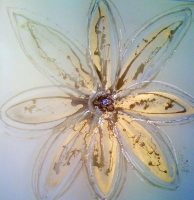 Make flower necklaces and crowns for your guests, keep the dress code casual, and get some Hendrix and Joplin cranked out on the stereo. 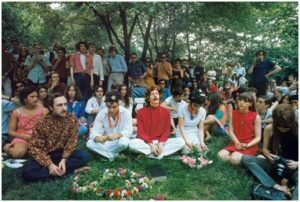 Throw away all of the traditions, the hippie culture was founded on social and political views that don’t conform to the norm. Just be yourself, have a good time and spread the love. When staying true to the season, take inspiration from the colours of nature. Spring is one of the most beautiful times of the year and the fresh blossoms provide the perfect metaphorical representation of your new life together. 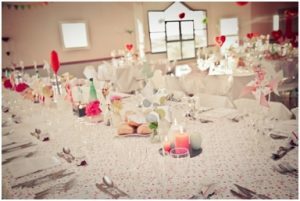 Spring is the most popular wedding season, so make sure you book your venue well in advance. Feel free to fuse the spring theme with other styles to create something completely unique. Holding your wedding reception in a prison cell may not seem all that romantic, but it’s certainly unique. Many old prisons, such as Bodmin Jail in Cornwall, open their doors for wedding functions and interesting wedding photographs. Such a strange and eerie location could provide the perfect backdrop if you lead a dark lifestyle. Don’t let the name “jail” put you off; a lot of these prisons are listed buildings and surprisingly beautiful considering what they represent. 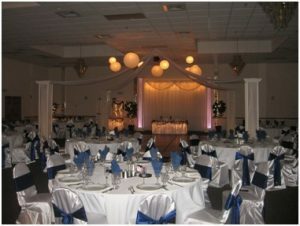 If you’re having a wedding at sea or marrying someone in the services, then a navy theme could be appropriate. Get your pageboys to dress as sailors, use nautical themed ornaments, and decorate with white, navy blue and red. One of the benefits of using navy blue is that it blends nicely with bold colours, which gives you more freedom when decorating. 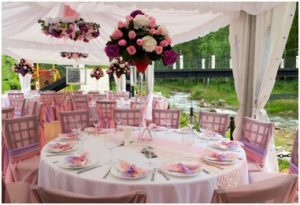 Use round tables and tie large bow ribbons around the chairs. New York City has the most striking skyline in the world. If there’s one way to get this across to your guests, it’s through your wedding cake. Remember New York’s most famed nickname, “The Big Apple” – incorporate this into your theme by using apples as name cards. 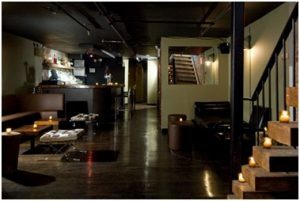 Provide your guests with Manhattan cocktails and Frank Sinatra classics as they enter the venue. Perhaps you could even arrive in a traditional yellow taxi. 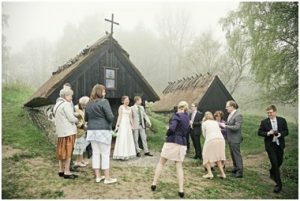 There are many ways to give your wedding a Scandinavian theme. From the snows of Swedish lapland to the lush forests of Norway, this theme always keeps nature close to its heart. 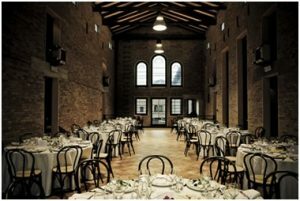 Use an old wooden church or barn as the venue. Have a wide selection of different flavoured snaps on offer and serve meats that you’d find in the Scandinavian forest, such as elk. Use dark wood tables and chairs with homemade centrepieces complied from branches and pine cones taken from the forest floor. If you’re a keen dancer compile a selection of disco classics from Michael Jackson and the Bee Gees. 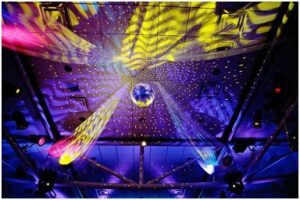 Decorate your venue with disco balls and make sure you have a light display filled with bold, bright colours. The disco theme is perfect if you want to get everyone boogying on the dance floor as quickly as possible. With this theme feel free to go over the top; hire disco-style light panelled flooring to get everyone in the mood from the second they enter. The word “glamour” immediately sparks thoughts of Hollywood. The golden years of cinema were certainly one of classiest times in history – a time when Hollywood stars were respectable. To replicate this era, fuse monochrome colouring with lots of red – red carpet, red curtains, and red tablecloths. Use gold awards or film reel centrepieces on large round tables with polished black chairs. Keep the dress code formal and encourage the women to wear a bit of faux fur. A monochrome theme requires only black and white. Monochrome is classic, timeless and blends very well with traditional and Japanese themes. Make sure there’s an even distribution of each colour. State the dress code in the invitations – black for men, white for women. Use glassware centrepieces filled with lilies, white tablecloths, black napkins and white crockery to keep the theme consistent. Arrange your seating male, female, male, female – black, white, black, white. White weddings have a very dream-like appeal. They are easy on the eyes and perfect for any time of the year. The rules are simple, just keep everything white. This includes the tables, chairs, candles, flowers and cake. While an all-white dress code is by no means a necessity, it will give your wedding a more fairy-tale image. 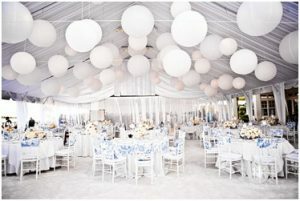 White wedding garden parties under a large marquee are often a favourite among those who opt for this style. When you think of roses you probably think of red; however, roses come in virtually every colour imaginable. Roses are seductive, classy and romantic, making them the perfect addition to any wedding theme. In fact, they are so versatile that you won’t even need any other flowers. When you decorate with a rose theme keep everything white, such as the furniture and crockery. 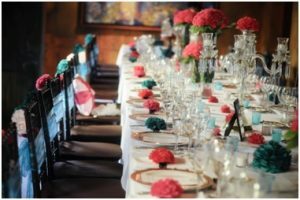 Too many bold colours could become overbearing for your guests. The whimsical theme has no boundaries. By definition the word means “erratic behaviour,” so it’s okay to mix and match colours and styles that would usually not blend together. Imagine you’ve fallen down the rabbit hole and ended up in wonderland and you’ll start to get the idea. Keep everything bright and bold. Mix vintage and modern furniture and outdoor and indoor décor. If your guests feel like they’re living in a real-life Disney movie, you’ve done your job. You don’t always have to be in a tropical country to have a tropical themed wedding. There is plenty that you can achieve through décor alone. 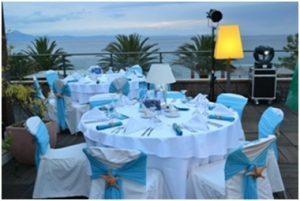 Use Ocean colours such a turquoise and various shades of blue. Mix these with bright yellow, white and green to replicate the colours of the beach. Make table centrepieces with fresh fruits, tealight candles and coconuts. Make sure you have cocktails and pinna coladas on offer. If you want to take it further, you could even give your wedding a Hawaiian dress code. Picture an open glade in the forest with a trickling nearby stream, lights dangling from the trees and earthy jewel tones such as gold, silver and lavender. 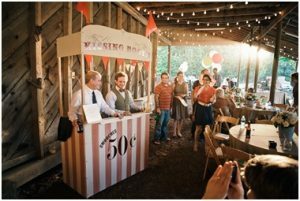 To make your wedding seem as though it’s been taken directly out of Shakespeare’s world, blend vintage style décor and furniture with the outdoors. 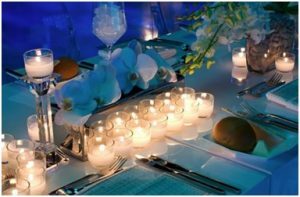 Use floating lily pads and tea light centrepieces, glimmering glassware, and serve sparkling white wine. If possible, hire a local theatre group to recite excerpts from A Midsummer Night’s Dream while your guests enter your world of enchantment. Start getting your guests excited about your pirate themed wedding before it even begins by sending out invitations on a treasure map. Leave little wedding gifts on your tables, such as pirate hats and eye patches, to help get your guests into the spirit. Remember to decorate with the main symbol of pirate culture, the skull and cross bones. Use red, black, brown and white colours in your décor, serve a hearty seafood stew and make sure you stock up on rum. 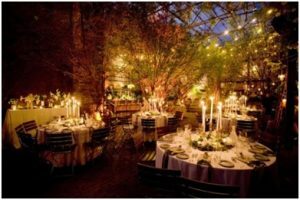 Garden weddings are perfect for intimate gatherings with family and friends. 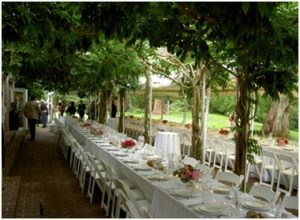 Set up a large marquee to keep all of your guests dry if the weather makes a turn for the worst. 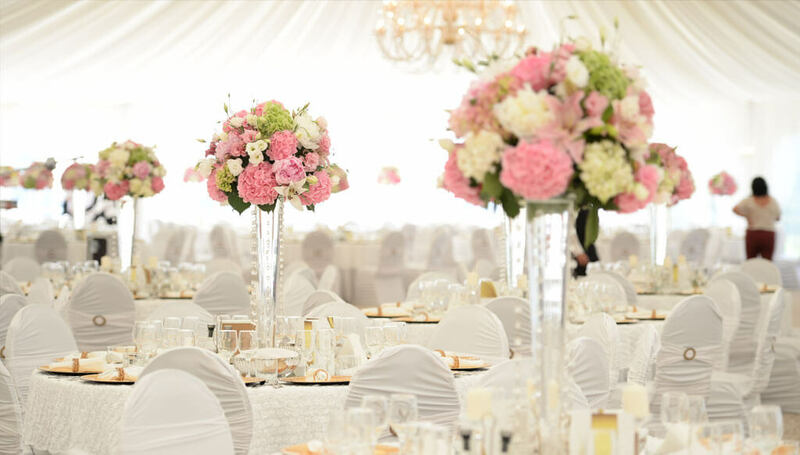 Decorate with white, pink, lavender and plenty of flowers to keep the atmosphere bright and cheerful. For your dining area use shabby chic furniture to give everything a more distressed and rustic appearance. Make sure you have plenty of lighting as the party will probably go on into the early hours. Retro weddings take inspiration from the 60’s and 70’s. The retro palette mainly relies on bold colours such as red, orange and turquoise. Use them in moderation; otherwise you’ll risk making the venue look too busy. Get some heart shaped balloons and compile a playlist of rock ‘n’ roll music. For an authentic “American diner” approach, use bistro tables with red and white tablecloths. Tell your guests to watch Hairspray or Grease if they aren’t sure how to dress. 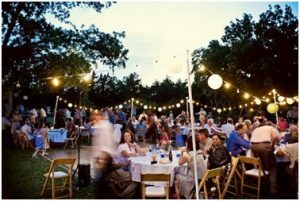 If you’re having a wedding outside, consider losing the traditional seated dinner altogether in favour of a more relaxed barbecue atmosphere. Scatter around a bunch of picnic tables and let your guests pick and choose when and what they want to eat. 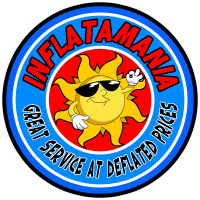 Just make sure you hire a marque as you never know when the weather could turn. Everybody loves a barbecue and if you aren’t one for being the centre of attention, perhaps taking this more relaxed and casual approach could be worthwhile. For an endless night of eastern traditions an Arabian theme could provide the perfect backdrop. 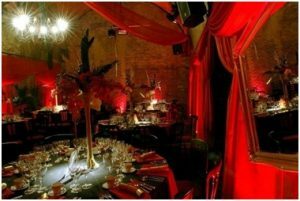 Hire a marquee and decorate with lavish silk fabrics and tropical greenery. 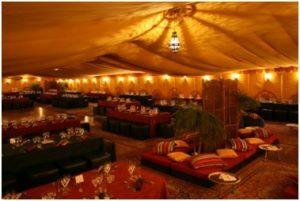 Use eastern style tables and chairs and serve a mixture of traditional Moroccan dishes such as bastille, mechoui and lamb brochettes. Not everyone likes to dance, so set up a cushioned area with water pipes for those who want to chill out and mingle. Hosting your wedding party in an art gallery is a classy way to end the evening. When you’re surrounded by beautiful sculptures and paintings, there’s not a lot you’ll have to change in terms of the décor. Art galleries are perfect if you want something a little lower key and less hectic. Serve a selection of cocktails and some fancy finger food instead of a sit down meal and make sure you get some wedding pictures among the featured works. Write articles for the event industry. 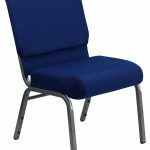 Love anything to do with furniture and that includes event furniture. 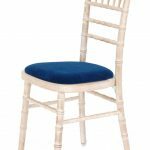 Favourite piece of event furniture is the Chiavari Chair.